I have been tinkering with the idea of a franchise business for a while and just happened to explore this book in the library. 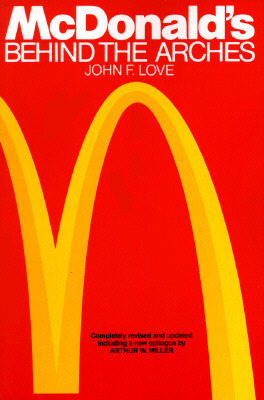 It is an interesting read and throws some light on the history of McDonald’s, and how it has changed the entire F&B industry. There are some really insightful and interesting things about the company and its approach to the business but it is also biased towards McDonald’s as some of the issues like its effect on the diet of the American people and whether the mass production of its ingredients is really the right way to go. However like everything foreign we are adapting, we should separate the good from the bad. I was suggested this book about a year back by a friend and could never find it then. That is why I did not hesitate when I saw this book in the library, the cover almost torn and lying in a corner. “Crime and Punishment” is the story of morality and sin as we have been made to believe told through the story of Raskolnikov. He is a student at a university and commits a murder to put his philosophical theory to test. 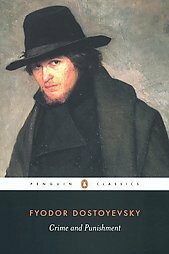 The book unfolds as Raskolnikov tries to come to terms with the crime he has committed and the conflict he has with himself. Even though the Russian names are a little difficult to remember, this is a book which should be read in a quiet environment where one can think and feel what Raskolnikov is going through. But one does need time and patience to finish this book. While I found the book a pain to read at times, the last 2-3 chapters really made it worth it. I had never heard about this book nor its author. But when I saw it in the library, I wanted to pick it up. Steven Johnson is a media theorist and has written several books which somehow juxtapose science, technology, innovation and creativity. 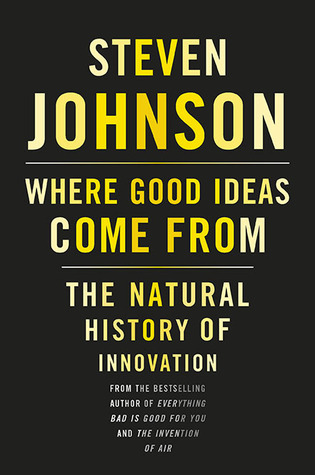 “Where Good Ideas Come From” starts from the beginning of life on earth as we know it and mentions the kind of places and environments where innovations have thrived and dispels some old notions like the “flash of brilliance” or the “eureka” moment. I do feel some of the ideas are a little “out there” but it does lay out a framework using which organizations can be more innovative citing examples like Google and Apple and connecting them with Darwin’s Theory of Evolution. This book is also a very relaxing read actually so go ahead and pick it up.